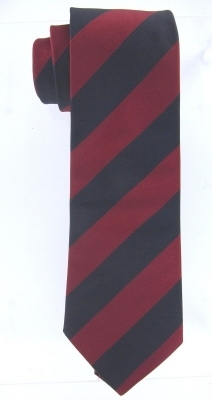 Regimental and Old School ties mark British style apart form the world. This is a small selection of classic regimental neckwear from PL Sells in a Silk Reppe weave construction. Navy and Wine block stripes. This Silk Reppe Regimental Stripe tie has a generous 9cm blade and a length of 145cm.